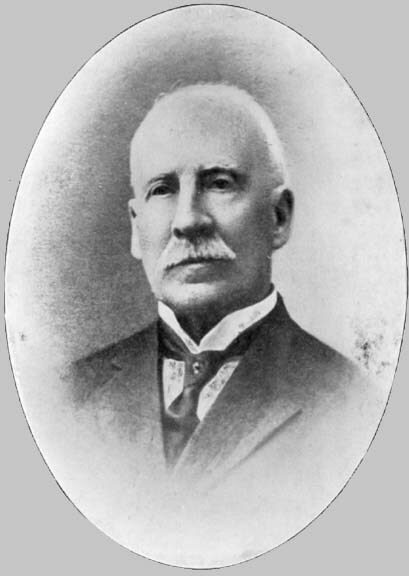 Percy Mitchell. The American Relief Clearing House. 1922. Chapters 1-3. In the Great War, America's crusade of compassion was not less efficacious than her military crusade. The former tempered suffering in France and Belgium; in Serbia, Montenegro, Italy, Russia, Roumania, Poland ; the latter, from the outset, made the ultimate victory of the Allied nations an absolute certainty. Thanks to the one, a generous measure of aid and encouragement was infused into the early phases of the war : thanks to the other, its closing phase was the triumph of justice. A wave of reconstructive sympathy from the West offset to a notable extent the wave of destruction from the east. As in 1776, La Fayette's heart "enlisted," to use his own word, on the American side, America's heart enlisted in 1914 on the side of the victims of "frightfulness. " They contained surgical and medicinal supplies sent by American sympathizers with the French and the French cause. To arrive so soon they must have been despatched immediately after Germany's aggression on France and Belgium. They were the first-fruits of American pity for the victims of a war that Prussia had imposed on Europe. They were also forerunners. Thereafter, almost every vessel arriving from the United States brought to France, in constantly and rapidly increasing volume, similar shipments of relief material. M. Alfred Dumaine, French Ambassador in Vienna at the outbreak of the war, has eloquently expressed the gratitude of the French nation for America's work of solidarity. "A heart-stirring and wonderful history that is yet to be written," he said in an article on the war, "will deal with the charitable efforts made to mitigate the suffering caused by the world conflict. It will comprise many chapters of an infinite variety ; and its most laudatory pages will be devoted to the delicate and inexhaustible generosity of our American friends." In addition to being a gage of American sympathy, that first consignment of relief material was the germ of THE AMERICAN RELIEF CLEARING HOUSE, of which the story is told in the following pages. What the CLEARING HOUSE was has been admirably outlined by M. Alexandre Millerand, the eminent statesman who is now (1922) President of the French Republic. Speaking in the Sorbonne on November 23rd, 1916, M. Millerand said : "The group that best synthesizes America's charitable work and constitutes its very nucleus is THE AMERICAN RELIEF CLEARING HOUSE." The statement is both a precise definition and a certificate of success. The CLEARING HOUSE was in sober truth the heart of America's magnificent services to war-sufferers in France and the countries allied with France. Without the CLEARING HOUSE, American charity would have been seriously hampered. It would have lacked the means indispensible to ensure prompt and effective action. What took place in the opening weeks of the war bears out that statement. Following the cases of relief supplies just referred to, others began to pour into Havre and Bordeaux by the score. They, also, were addressed in a manner very significant of the senders' sentiments : usually to the French Army; often to the French Government; a great many to the American Embassy ; others to the American Chamber of Commerce in Paris or to individual business firms. The two first addresses are about as vague as comprehensiveness can make them. The others are more definite. But in the circumstances, that was no great practical gain. Neither the Embassy nor the Chamber of Commerce had a staff at Havre or Bordeaux, or even in Paris, free to receive shipments of relief supplies, free to sort, re-pack and forward to centres of distress the huge cases that were arriving in increasing number. The French Army might be, indeed was, sorely in need of the material from the United States. The French Government might know, the American Embassy might learn, just where that material would render the greatest service. But who was to deal with it? At that critical moment --August-September --- M. Viviani, then President of the Ministerial Council; M. Millerand, then Minister of War; the Hon. Myron T. Herrick, the American Ambassador, were grappling with vast problems of vital importance to the interests in their charge. Every department of the public services having been "combed out" by the mobilization, was under-manned, was overwhelmed by the work already in hand. To cope with and utilize American succour some special machinery had to be constructed. For none existed. The machinery was constructed ; and on the most practical, efficient, business-like principles. Acting with the approbation of the United States Government and of the French Government, Mr. Herrick took the first steps that led to the formation of an organization to receive---indeed to call forth --- relief supplies and see to their distribution wherever the distress signal might be run up. The new body was THE AMERICAN RELIEF CLEARING HOUSE. But that name was remembered in official correspondence only, or at formal ceremonies. In practice it was commonly shortened to "Archouse, " or the "Arch." What happy symbolism there is in that colloquial title! "I do set My bow in the cloud." Was not the ARCH that emblematic bow of hope set in the cloud of war, a sign that a stricken world should yet be saved? Was it not a very real bridge spanning the Atlantic, linking sympathetic America to war-torn France and her Allies ? Across it poured uninterruptedly, from the early days of the war, a supply of relief material, immense in quantity, bewildering in variety, and representing, merely to the date of America's entry into the war, a pecuniary value of more than eighty-six million francs. That simple record is an enduring monument to the builders of the "A.R.C.H. ", the Arch of Humanity. How extensive was the need of relief supplies and a central agency to ensure their expeditious distribution, was seen in Paris towards the close of August, 1914. The mobilization, though not wholly unprepared for after Austria's ultimatum to Serbia, was, nevertheless, a disorganizing factor in every department of life. But the situation was faced with fortitude and confidence. Everyone braced himself for the struggle. Everyone knew it would be fierce. But all believed it would be short. That was the "Great Illusion," the real one. Kitchener's grim allusion to a war of "at least three years," seemed to the majority merely a soldier's jest. If seriously meant, it revealed simply that Lord Kitchener knew nothing of economics. How could a long war be financed? Experts, from Ivan de Bloch onward, had proven, with figures to boot, that to be a sheer impossibility. Hence, while the early days of August were, in civilian life, days of radical re-organization, the measures taken were in the main of a provisional nature, stop-gaps "for the duration of the war," that is, for a few weeks! Having thus safe-guarded the present and the future, all went about their business, serious but unafraid. What cause was there for uneasiness? The communiqués were reserved but not pessimistic : the enemy, undoubtedly, was being held! With the arrival of the first refugees from the north came awakening both to the imminence of danger and the inadequacy of then existing preparations to deal with the effects of a great war. Day by day, as August drew to its close, the influx grew. The trains came in overpacked with fugitives from what later was only too literally "the area of devastation." The roads leading southwards to the capital seethed with a veritable phantasmagoria of human misery, --- fugitives fleeing before the Red Terror : women crazed by grief over the disappearance of little ones torn from their side in the frenzied exodus, children wailing for lost parents, the aged, the infirm, the ailing ; all homeless; all foodless, destitute, sinking with weariness. For all, Paris, the City of Joy, had become the City of Refuge, a haven of safety. The heart of Paris, as always, reacted immediately and compassionately to the appeal. Little preparation had been made for that kind of an invasion. But the initiative of the people is equal to every emergency. Shelter for refugees was provided in the Salle Wagram, the Cirque de Paris, the St. Sulpice Seminary, and a number of cinema theatres. Food in abundance was forthcoming ; and clothing. Only those who know "the people" of Paris can fully realize the unaffected, cordial sympathy that breathed in the help so readily proffered. Families in that troubled moment went gladly without milk so that "les pauvres petiots," the "little tots," from the invaded zone might not want. The police of the 6th and 14th arrondissements, (wards) pooled their ready cash to help the refugees housed in the big St. Sulpice Seminary and spent part of their time off-duty renovating the building and making it comfortable. The authorities did all they could. But it was individual effort, the effort of "the people," so under-esteemed, that saved the situation. Yes, the need for relief supplies was great. And it was just about this time that they began to arrive from American well-wishers. Paris, the City of Refuge, was about to become the City of Rescue. After the invasion of France by the enemy, and the invasion of Paris by fugitives, a third invasion had begun : the invasion of succour. It quickly attained proportions that rendered essential a central executive power and distribution equipment. In the transport of the immense armies for modern warfare, gares régulatrices --- "Clearing" or "Regulating" stations --are created at convenient junctions on the main lines of railway communications. There, troops and men on leave, coming from various directions, assemble to be despatched, "cleared," to their destinations. What a gare régulatrice is to a fighting force, THE AMERICAN RELIEF CLEARING HOUSE was to the forces of Mercy. The object is... the greatest good of the greatest number. It was Mr. Myron T. Herrick who, foreseeing the advantages of a "clearing-house, " indeed its necessity, took the initiative in creating one. The Ambassador's paramount object was of course to protect the interests of the United States. The field of international diplomacy in 1914 was honeycombed with pitfalls. Officially, that is to say, governmentally, America was neutral. But American sentiment as a whole was ranged behind France and Belgium. Dr. Morton Prince, in presenting to President Poincaré a Message signed by 500 Americans of prominence in science, law, art, industry and commerce, put the facts in a single sentence : "Although our Government is neutral, " he said, "Americans are not compelled to be neutral; do not wish to be neutral; are not neutral." That is the unvarnished truth. Their sense of justice was revolted by the war as an act of aggression ; their sympathies were with its victims. This is proved by the movement to help France and Belgium. In the first eighteen months of the war, Americans contributed aid (inclusive of that sent through the CLEARING HOUSE) valued at more than 144 million of francs. Of that total, nearly 127 millions (88%), was subscribed specifically for the Allies. A popular channel for the transmission of relief material being, as already observed, the American Embassy in Paris, the movement of sympathy for France and Belgium, if given official status through official participation, might conceivably become a source of embarrassment for the United States. The frontiers of neutrality are fluid. They cannot be charted with rigorous accuracy. The cooperation of Embassy officials in a work that, bluntly speaking, was a condemnation, or at least a criticism, of Germany might be interpreted as incompatible with a nice sense of neutrality. In any case, the Embassy was not equipped to receive, overhaul, distribute, and render account for the tons of supplies that an increasing multitude of relief associations in the United States was beginning, towards the close of 1914, to ship to France for Franco-Belgian hospitals, ambulances, and institutions for the wounded; for refugees, orphans, and war-victims generally. In the interest of all --- Government, donors and beneficiaries alike --- it was more than politic, it was imperative, that a competent body, distinct from the Embassy, should centralize and be responsible for this American work of rescue. In addition, a "clearing-house," by facilitating that work, would tend to develop it and thus be of material benefit to France. The argument was one to appeal potently to the sympathies of Mr. Herrick. He had never concealed, far from it, his warm regard for the French and his admiration for their greatness in all departments of human activity. He had devoted himself in his official functions to the task, wholly congenial to him, of maintaining and adding to the traditional friendly ties between France and the United States. He had been completely successful. No American Ambassador ever enjoyed so unreservedly the confidence of the French people or was held in such affection ; none ever wielded so great a moral authority in the exercise of his mission. Thanks to this unique position, he was, from the beginning of the war, a pillar of strength for his Government and for the one to which he was accredited. In the nerve-testing days just before the Battle of the Marne, his decision to remain in Paris was a stimulus to the French and contributed powerfully to reassure foreign opinion. Being in favour of the American relief movement, he was naturally anxious to further its legitimate development. He had, in short, a two-fold reason for advocating the creation of a "clearing-house" : it would serve America ; it would help France. Either argument, taken alone, would have caused Mr. Herrick to regard a proposition favourably: united, they were irresistible. And shortly before handing over the -Embassy to his successor, he broached the idea of a "clearing-house " to a number of influential friends, aroused their interest in it, got the assurance of their support, and launched the work of realization. The personal elements were ready to hand in a Committee which the American Ambassador had called into being on the first day of the French mobilization. It was to co-operate with him in advising Americans in Paris regarding the rapidly changing situation and giving them such information as might be procurable and useful. Even at that incipient stage of the war the Ambassador struck a note of uplifting optimism, It rings out cheeringly in the statement issued to announce the formation of the Committee: "We think there is no cause for alarm on the part of those who remain in the city. " The Committee met officially every afternoon at four o'clock in the reception rooms of the American Embassy, 5, Rue François I. But it was virtually in session permanently; for groups of the members were at the Embassy in turn throughout the day. The Honorary President was, of course, Mr. Herrick ; the Chairman, Mr. Elbert H. Gary, President of the United States Steel Corporation; the Honorary Secretary, Mr. H. H. Harjes, Director of the Morgan, Harjes and Company bank; and the Committee members were: Mr. Laurence V. Benét, Mr. W. S. Dalliba, Mr. Charles Carroll of Carrollton, Mr. Frederic Coudert, Mr. Chauncey M. Depew, Mr. James Deering, Colonel William Jay, Mr. F. B. Kellog, Mr. M. Percy Peixotto, Mr. Henry S. Priest, Mr. Valentin Blacque. How quickly Mr. Herrick had met the situation and foreseen the means necessary to cope with it, is evidenced in the fact that his measures were already working when a movement was started to put similar measures into operation. His Committee was busy at the Embassy issuing nationality certificates, arranging for advances of funds on letters of credit, Travellers' cheques, or personal security, and dealing with transportation problems, before a "mass meeting" was convened at the Grand Hotel by tourists zealous for the common-weal "to consider what action should be taken to ensure immediate relief for American citizens from the United States Government. " When that meeting took place (on August 3) the immediate needs of some 3,000 citizens had received attention from the Committee at the American Embassy; about 2,000 had already been supplied with papers of nationality, a system of furnishing indispensable funds had been perfected, and everything feasible had been done to procure without any avoidable delay means of transport for all anxious to return to America. So manifestly were Mr. Herrick and the Committee doing all that it was possible to do that the New York Herald drily commented on the inconvenience of having "too much Committee." "There is already, " it said, "one Committee in Paris working under the guidance of the American Ambassador to relieve the situation of the many Americans in Europe. This body is doing everything that is practicable and is working actively and effectively. Instead, therefore, of dividing their efforts, Americans in Paris would do better to unite and co-operate with the (existing) Committee." It was to this body that Mr. Herrick turned when, the first requirements of the crisis having been met, he took in hand the systematization and co-ordination of "war relief." It was decided to convene an informal meeting of Americans in Paris to discuss the matter. 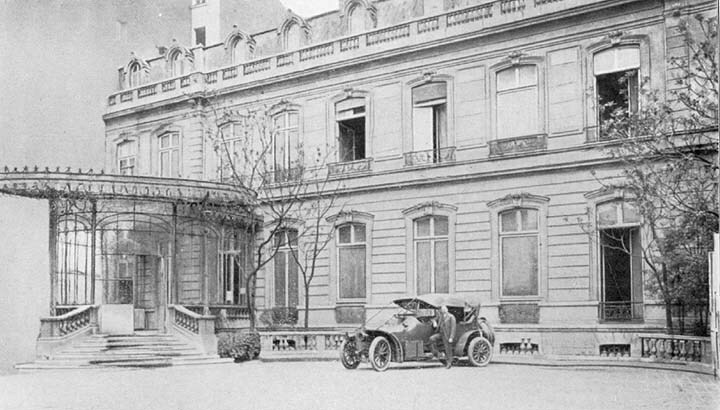 The meeting was held about the middle of November, 1914, at the American Embassy, 5, Rue François I. Those present included: Mr. H. Herman Harjes; Professor J. Mark Baldwin, of Johns Hopkins and Princeton Universities, a Corresponding Member of the Institut de France, and a sturdy champion of France's right in the war; Mr. Whitney Warren, another whole-hearted friend of France and a tireless worker in behalf of Latin culture as opposed to Germanic "Kultur;" Mr. James Hazen Hyde, to whom is due, among other fruitful initiatives to cement Franco-American amity, the exchange professorships which have helped enormously to promote closer intellectual relations between the two peoples; Rev. Dr. Samuel Newell Watson, Rector of the American Church of the Holy Trinity ; Mr. M. Percy Peixotto, European representative of the American International Corporation, and, during two years of the war, President of the American Chamber of Commerce, Paris ; Mr. Elmer Roberts, Director in France of the Associated Press of America; Mr. W. T. Dannat, Mr. Walter Gay, and Mr. Ridgway Knight, artists; Mr. C. Inman Barnard and Mr. Henry Cachard, lawyers; Mr. Edward Tuck, philanthropist and Mæcenas of the American colony in Paris; Mr. J. Ridgeley Carter, former American Minister in the Balkans; Mr. Hugh Reid Griffin, then 1st Vice-President of the American Chamber of Commerce; Mr. Charly Knight, architect; Mr. George Munroe, banker; Mr. Junius S. Morgan ; Mr. W. S. Hilles, Mr. L. V. Twyeffort, Mr. Irving G. Will, Mr. George R. Ostheimer, Mr. William S. Hogan, merchants; Duc de Loubat; Mr. P. Lorillard Ronalds Mr. Francis B. Riggs; Mr. Charles Carroll of Carrollton ; Mr. Charles R. Scott. A notable and representative gathering. Mr. Herrick presided and, in his opening remarks, outlined the question before the meeting. America, he said in substance, was making a powerful effort to help her sister-Republic, France. As a matter of justice and humanity the movement should be encouraged and stimulated. That could best be done by expediting the distribution of the relief supplies received from the United States. But to ensure a rapid service, some medium of reception, some organization to facilitate compliance with Customs formalities, was essential. Without one, delay was inevitable and loss possible : non-observance, owing to ignorance, of French import regulations had resulted in the sending back of certain articles ; other gifts had gone astray through inaccuracy of address or its insufficiency. Order must be brought out of the chaos produced by the unsystematized shipment to France of American relief supplies. The task was too big and too delicate to be grappled with by any individual. United action was indispensible if friction and suspicion were to be avoided. The relief movement must be protected from possible abuses or dishonesty. The wellspring of American charity would dry up if there were any whisper that contributions of money or goods were being diverted from their real destination. The movement must be like Caesar's wife: above suspicion. The distribution of the aid sent from America must be under the control of a central organization, approved by the Embassy and empowered to see to the faithful carrying out of the intentions of charitable America. Those engaged in France in war relief work would welcome such a guaranty of their trustworthiness and would gladly comply with all regulations necessary to prevent swindling or waste. And if any individuals or groups refused to comply with them and render account for the material received, they would by that refusal shake public confidence in their bona fides. Mr. Herrick opined that the most effective safeguard and collaborator in the relief movement would be an institution corresponding in charitable work to a "clearing house " in banking. And he proposed the creation of a "clearing house" for relief material. He even recommended that it be called the "Clearing House," for he had thought out every detail of his project, down to the title of the organization. He declared it would find plenty of work to do. The munitions of relief were arriving in greater and greater abundance. All that was necessary to make the proposed "clearing-house " a success was the co-operation in Paris of business ability and public spirit. In both those respects the American colony was rich ; witness the skill, ingenuity and self-abnegation that had presided over the organization and marked the continued operation of a host of American relief associations founded in and around Paris since the beginning of the war. IV. To furnish those services, free of any expense, to all donors. The principle having been endorsed and the enterprise launched, the work of practical construction was attacked and gratifying progress made in frequent meetings held between November 20 and the end of 1914. Offices were established at 5, Rue François I, vacated by the American Embassy. The owner, Comte Gérard de Ganay, of American descent on the maternal side, placed the building, rent and taxes free, at the disposal of the A.R.C.H. in gratitude for American sympathy with his country and the philanthropic work the CLEARING HOUSE had in view. The Duchesse de Talleyrand --- née Gould --- provided, also gratuitously, as warehouse a commodious edifice at 25, Rue Pierre Charron (now Avenue Pierre I de Serbie), built by the generosity of Mme. de Talleyrand after the fire that destroyed the Bazar de la Charité, and caused appalling loss of life, in 1897. At a meeting on December 1st, Mr. Herrick, by unanimous vote was elected Honorary President of the A.R.C.H. He had left Paris on November 28th to return to the United States ; and was notified by cablegram of his election. In the same despatch it was suggested that the CLEARING HOUSE be made the official representative of the various American relief organizations and that all goods sent from America should be consigned through it. In that suggestion is the germ of "THE WAR RELIEF CLEARING HOUSE FOR FRANCE AND HER ALLIES," formed later in New York to co-operate with the A.R.C.H. Mr. Robert Bacon also was elected Honorary President, or "Président d'honneur" as he is styled in the official minutes of the CLEARING HOUSE. The selection of the other Board Officers was quickly made. It was obvious that the acting President would need to be a man of administrative experience and judgment, possessing a spirit of initiative nicely balanced by tact, and enjoying the confidence of a big circle of friends, both French and American. Hence, Mr. H. H. Harjes, possessing every one of those qualifications, was at once elected President. "HARJES (Henry Herman); of the American Section, No. 5 ; Delegate of the American Red Cross; founder and member of the American Ambulance Section, No. 5. When his group is in active and perilous service he is always present at the most exposed point, seeing to the execution of orders and contributing a valuable moral stimulus by his unfailing cheerfulness. During the attacks of March-December, 1916, and January, 1917, he particularly distinguished himself in a very exposed sector. The Presidency of the CLEARING HOUSE represented further hard work for a man already fully occupied. One detail will make that fact very clear. In the first month of its existence, the organizing committee, with Mr. Harjes in the Chair, held fifteen important and protracted meetings: so protracted, that there is considerable significance, and a shade of resigned humour, in a decision, taken a little later and recorded in the minutes, to bring the meetings held in the evening to a close at eight o'clock "even if there is routine business still remaining." The decision tells so eloquently a tale of prolonged conferences, evening after evening! And meetings formed but a small fraction of the members' labours. They gave without stint of their energy, and time, and experience ; and of their money : for they contributed to a special fund for Maintenance, or operating expense. The financing of the CLEARING HOUSE will be dealt with later; but it is opportune to mention here, at the very outset, a financial detail of importance : the A.R.C.H. cost nothing whatever to those who utilized its services. All the money received was spent solely, to the last cent, on relief. The person who gave any sum, big or little, has the satisfaction of knowing that it went in its entirety to those for whom it was given. This was so because the CLEARING HOUSE paid the whole of its operating expenses out of a separate fund subscribed for that very purpose. The cost works out, from the inception of the CLEARING HOUSE to its withdrawal from activity, to a percentage of 1.02 of the total relief transactions in cash and material. But the expense of the small staff of salaried employees --- clerks ; messengers; chauffeurs; porters and manual labour generally --- should in fairness, be classed as a species of annex to the relief account. This staff was mainly French ; the salaries, therefore, were just so much supplementary American aid to France. If that contention be admitted, the operating cost is much less than 1.02 %. But, in any case, the fact remains, and should be strongly emphasized, that subscriptions for relief suffered no diminution, either direct or indirect, for administration expenses : every contribution went integrally to those for whom the contributor destined it. The other Board Officers elected in the period of construction were : Vice-President, Mr. Whitney Warren ; Treasurer, Mr. J. Ridgeley Carter; Secretary, Mr. Charles Carroll of Carrollton. An Executive Committee comprised in the beginning: Mr. Harjes (Chairman), Mr. J. R. Carter, Rev. Dr. S. N. Watson, Mr. Whitney Warren, Mr. George Munroe, Mr. Peixotto, and Mr. Charles R. Scott, Honorary Secretary. Later, the following additional members were elected to it : Mr. Beatty, Mr. James R. Barbour, Mr. Hoff, Mr. Ralph Preston, Mr. Walter Abbott, Mr. James H. Hyde, and Mr. Randolph Mordecai, who succeeded Mr. Scott as Honorary Secretary, after having filled, for two years, the post of Assistant Secretary. The Executive Committee was the responsible power in the A.R.C.H. It was the apex of the pyramid of organization. But the actual labour of receiving, classifying and dealing with gifts, whether in money or goods, was done through an Administrative Committee which, however, was not constituted until February 8th, 1915. Not that its necessity had only then become apparent. On the contrary ; in the very first days of the A.R.C.H. it was realized that what may be called the operative functions must be centralized in a small group under the guidance of a Director-General. Only so could promptitude and regularity be assured in the relief transactions. After careful research, the choice of the Executive Committee for a Director-General equal to the immense responsibilities of the post fell upon Mr. H. Oscar Beatty, a Californian; by profession a lawyer, only a little less at home in France than in the United States. Of his business genius the success of the A.R.C.H. is most convincing evidence. Mr. Beatty was in California when the CLEARING HOUSE was formed. But his participation was secured by cablegram and he arrived in Paris --- where he had resided for some time --- towards the end of January, after a useful halt in New York to thresh out the subject of mobilizing relief supplies and shipping them to the CLEARING HOUSE. His arrival marks the beginning of a period of intense activity in the campaign to aid France and her allies. The organ of relief began in very earnest to relieve. The Administrative Committee, composed of the Director-General, the Honorary Secretary, and Mr. Ralph Preston, was given the fullest powers to carry out the work of the A.R.C.H.,promptly, efficiently, and economically." It was to provide an irreproachable system of accounting for "all moneys and supplies of whatever description that may be received for distribution, and show their ultimate disposition." It was to investigate demands for relief from "individuals, Societies, hospitals, and localities ; to estimate their needs and in ordinary cases to make prompt appropriation to satisfy the same." It was to record and tabulate information relative to conditions resulting from the development of the war, so far as they "relate to France and her Allies, and to transmit such information to New York for use in the United States." It was, in short, instructed and empowered "to do such things and take such measures as are best calculated to give effect to and accomplish the object for which this organization (the A.R.C.H.) was formed." Working hand in hand with it was the Relief Committee or, as it was finally called, the Distribution Committee, of which Rev. Dr. Watson was Chairman. Its functions, complementary to those implied in its name, were to examine and report upon all demands for help. An Investigation Committee (Mr. Hoff, Chairman), and a Transportation Committee (Mr. Hugh Reid Griffin, Chairman) co-operated in the Distribution Committee's field of work. Together, they formed the vital organs of the A.R.C.H. To complete this sketch of the organization measures, it is opportune to mention here that on April 20th, 1915, the A.R.C.H. filed in the State of New York, pursuant to the laws of that State a certificate of incorporation as a Charitable Association. The main reasons for the step were : to protect the members against the possible consequences of actions that might be brought against the CLEARING HOUSE under the Employers' Liability Act, of France ; and to provide a stable framework in view of probable continuance after the war. On Tuesday, September 21st, the original voluntary association left the stage and reentered as "THE AMERICAN RELIEF CLEARING HOUSE, INCORPORATED." The change, organic from the legal standpoint, modified nothing in the work --- except, perhaps, to stimulate the new-old members of the old-new organisation to still greater exertions in the dispensation of help. As finally constituted, the clearing-house mechanism was a twin-organization --- one part to produce relief, the other to distribute it. And while the instrument of Distribution was being perfected in Paris, the instrument of Production was being forged in New York. The latter bore the name of THE WAR RELIEF CLEARING HOUSE FOR FRANCE AND HER ALLIES, or " Warelief," and was called into being to receive all American relief contributions, cash or kind, and forward them through the Paris, CLEARING HOUSE to their specific destination. The necessity for such a centralizing station had made itself felt in the United States by the beginning of 1915. Associations to help France and her allies were then springing up throughout the country, not only in the cities and big towns, but in the smaller communities. Never was a movement more truly national, nor one more beneficent. The distress "over there " touched every heart. To work for its alleviation was considered an essential part of the duty of every good citizen. It is a significant fact that the States of the Middle West where a large element of the population is of German stock contributed generously from the beginning to the funds administered by the CLEARING HOUSE. The diversity of the movement was as astounding as its extent. Every form of suffering and wretchedness had its particular group of sympathizers. There were associations to provide clothing for refugees, food for the starving, artificial limbs for the maimed; to furnish surgical instruments and dressings, medicinal supplies, re-invigorating comforts for convalescents, pecuniary aid for widows and the fatherless, toys at Christmas for the little ones. There was nothing perfunctory in the campaign against misery : it was instinct with the loving-kindness that is the true meaning, the essence, of that maltreated word, charity. The records of the A.R.C.H. in the first weeks of its existence throw a vivid light on the movement and reveal its imposing dimensions. The late Hugh Reid Griffin, Chairman of the Transportation Committee, to whom, early in the history of the A.R.C.H., a special resolution of thanks was unanimously voted (March 3, 1915) on the motion of Rev. Dr. Watson, for "his untiring efforts and initiative," reported on Dec. 28, 1914, the arrival of 49 packing cases of clothing; and on the same day, 36 cases sent by the American Red Cross through the Comité de Secours National; and 5,500 bottles of anæsthetic chloroform. On the 30th, 70 cases were due to arrive in Paris from Bordeaux and 14 cases of surgical instruments from Havre. On January 2, 1915, 138 cases were announced ; on the 6th, 62 cases ; on the 8th, 50 cases ; on the 11th, 250 cases, and 22 cases received through the American Chamber of Commerce in Paris. The minutes of every meeting of the A.R.C.H. make reference to the .arrival or forthcoming arrival of American shipments. The significance of this fact lies in the youth of the CLEARING HOUSE. In December-January, it was still in the organization stage. Its services at that period were utilized by the smallest fraction, an infinitesimal fraction, of the American relief associations. Yet an Inspector sent to Havre early in January to investigate conditions there reports : "Owing to the very numerous shipments from the United States, the warehouses and sheds of the Compagnie Générale Transatlantique are blocked to such a degree that it is impossible, for lack of space, to sort the cases on the spot : for that operation the Company will have to send all this material to Graville (in the suburbs of Havre). Furthermore, great complications are caused by the frequent failure to furnish regular bills of lading; many of the shipments are put on board vessels with only an entry on the cargo-list." In other words, relief supplies were flowing into France in conditions that rendered a centralizing organization in New York essential if delay was to be obviated. Again Mr. Herrick set to work, interested eighty or more of the most influential bankers and business men in the matter and at a meeting held in the Wall Street offices of Mr. Robert Bacon, a body corresponding to the A.R.C.H. of Paris was formed in New York in March, 1915. 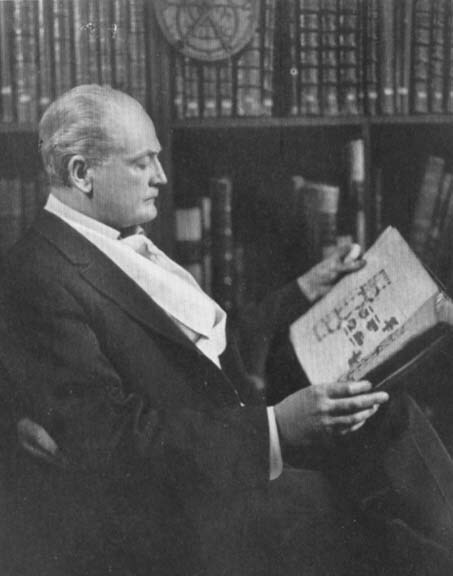 The Honorary President was Mr. Joseph H. Choate, one-time American Ambassador to Great Britain, a leader of the Bar, and one of the notable figures in the sublime and successful campaign, of which the history in detail is yet unwritten, for the participation of the United States in the war for Liberty. The Honorary Vice-Presidents were : Mr. Robert Bacon, former Secretary of State and former Ambassador to France ; Mr. Myron T. Herrick, Mr. William F. McCombs, and Mr. Frank H. Mason, former American Consul-General in France. Mr. A. Barton Hepburn; Chairman of the Board of Directors of the Chase National Bank. Mr. R. L. Bacon, of Kissel, Kinnicutt and Co., bankers. Mr. Thomas W. Lamont, of Messrs. J. P. Morgan & Co.
Mr. William Greenough; Mr. Whitney Warren. Mr. Walbridge S. Taft, of Parks, Mc Kinley and Taft. Mr. Horace E. Andrews ; President of New York State Railways Co.
Mr. E. C. Bacon, of Messrs. J. P. Morgan and Cc. Mr. B. D. Caldwell, President of Wells, Fargo and Co.
Mr. Frederick A. Juilliard, of Messrs. A. D. Juilliard & Co.
Mr. James Marwick, of Messrs. Marwick, Mitchell, Peat & Co.
Executive Secretary: Mr. Clyde A. Pratt. Assistant Secretary: Mr. Yale W. Burtch. It is impossible to disunite the two CLEARING HOUSES, each being the complement of the other. But a special tribute must be paid to the New York organization. For if the Paris CLEARING HOUSE was privileged to relieve immeasurable suffering in France and elsewhere, it was primarily, of course, through the boundless generosity of the American people ; then, through the perfect organization of THE WAR RELIEF CLEARING HOUSE, the altruistic spirit of its members and the labour of its Executive. It would be an injustice not to mention particularly Mr. C. A. Coffin, By common consent he was the very soul of', WARELIEF." Prophets, we know on Divine authority, are insufficiently honoured at home ; the same lot often falls to philanthropists. Mr. Coffin is a case in point. The multifarious work of charity he accomplished during the war is not fully realized in America. As regards THE WAR RELIEF CLEARING HOUSE he was pre-eminently "the man behind the gun;" he it was who by dint of energy, business genius, and resourcefulness, made the organization worthy of the cause to which it was dedicated. On that point no one is better qualified than Mr. Myron T. Herrick to speak authoritatively. As my efforts failed to induce Mr. Coffin to give details of his activities in the work of THE WAR RELIEF CLEARING HOUSE I cannot do better than reproduce a letter from Mr. Herrick on that subject. I am disappointed, but not at all surprised, that Mr. Coffin is unwilling to disclose the details of his many and varied war relief activities, for, during my thirty years' association with him, I became fully acquainted with the excessive modesty that accompanies his genius for organization and extraordinary executive ability. Mr. Coffin is recognized as one of the leaders in the world of American finance. Perhaps the greatest achievement of his very remarkable career was the creation of the General Electric Company. He has presided over this most important company since its beginning, and, to this day, he is its advisor and guiding force, in his position as Chairman of the Board of Directors. It was not until 1915 that Mr. Coffin applied to war relief work his great energy and wide experience in various fields. From that moment to the close of the war, he was identified with many of these relief associations, the organization of which was due to his creative genius, and the wonderful and far-reaching results to his breadth of mind, his far-sightedness, his infectious enthusiasm, in addition to a most generous contribution from his personal fortune. While Mr. Coffin's business achievements are widely recognized In America, his reticence has prevented much from being known of the monumental war work he accomplished. France, however, has already expressed her appreciation and gratitude by conferring upon him the decoration of Officer of the Legion of Honor. So earnest is my desire that more should be known of Mr. Coffin's prodigious part in the creation and conduct of the WAR RELIEF CLEARING HOUSE FOR FRANCE AND HER A ALLIES, that I am willing to be guilty of the indiscretion of quoting directly from his answer to my request for some details of his share in this organization and work. "I merely did my day's work, and a far less personal contribution, proportioned to my situation, than was that of every boy who went across, facing disaster and death. Everything that went from America to France through the Clearing House was America's contribution and should be treated as each. All that happened after the material was received in France, its ware-housing and its distribution, involving work done by Americans who sacrificed much to be there on the spot, and who faced danger, privation, and disease, are achievements for which they should have the sole credit. I feel that what we did here in collecting and forwarding America's contribution, altogether from about fourteen thousand different sources, was essentially clerical work; the only man who really sacrificed himself and made what was done possible to be done, was Clyde A. Pratt, whom I should be glad to see prominently featured In any record of the operations of the WAR RELIEF CLEARING HOUSE FOR FRANCE AND HER ALLIES. " This generous attitude towards another's share In the work of War Relief In New York is typical of Mr. Coffin, and would not, for a moment, be accepted by Mr, Pratt, Although this young man, who was already prominent In Ohio, cannot be too highly praised for his indefatigable zeal and untiring energy In supervising the innumerable details of the operation of this organization, the spirit that animated War Relief was Mr. Coffin. In his letter, he refers to the clerical work involved in collecting and forwarding America's contributions, but, with his usual modesty, he refrains from mentioning the enormous task of planning ways and means of obtaining funds and supplies which made these contributions possible. Mr. Coffin threw himself, body and soul, into this work and was in touch with the War Relief offices in Wall Street every hour of the day. 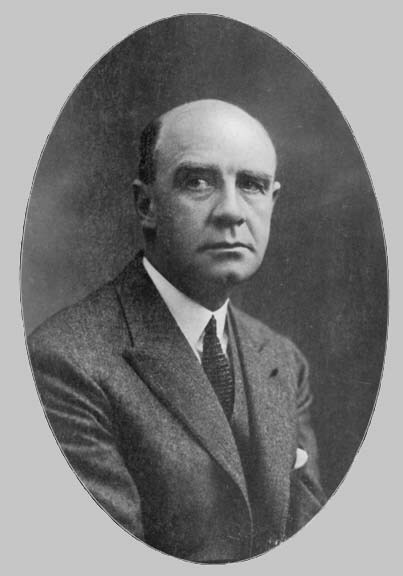 Together with Mr. Pratt, the Executive Secretary from the early days of 1915, whose ability and unfailing amiability contributed in large part to the success of War Relief, and his very able assistants, Mr. Coffin in supervised the operations, devised now incentives to activity in calling forth relief contributions, organized means to facilitate collection of material offered, and to ensure its prompt expedition to the war zone. For example, one of the most ingenious and effective memo devised for the collection of money was a tax, a small percentage of their bills, which club members throughout the country were induced to pay. The funds raised in this way furnished, during the entire war, a steady and dependable income, which was more than sufficient to cover all administrative expenses. Mr. Coffin's offices in the Equitable Building In New York, where he presided as Chairman of the General Electric, and his lunch-room, became practically the consulting sad advisory headquarters for the countless relief societies in America, and all engaged In this work were in constant touch with him. I do not hesitate to say that Mr. Coffin made the War Relief of New York an indispensable partner of the Clearing House of Paris, and, thus, together, they formed, from the very beginning, ore of the greatest and most effective agencies that enabled the American people to show, in a tangible way, their deep sympathy for the French. The name of the new organization leaves nothing to be desired in respect of clearness : the relief it would provide was "For France and her Allies." The words italicized deserve a little attention. It was only after much discussion that the aim of the new association was stated with such refreshing bluntness. When the idea was first mooted the question came up: Is it to "clear" relief supplies for war-sufferers in general, or for France and her allies only? In ordinary circumstances the question would have admitted of but one answer, the one dictated by elemental charity. But the circumstances were not ordinary. They were unprecedented. With civilization fighting for existence, charity, which exists only through civilization, had to take sides. It could not place aggressor and victim on the same plane. Americans made no effort to do it. The first shipment of relief supplies, addressed : "French Army, Havre," showed clearly the trend of American sentiment. "Why," asked M. Millerand in the Sorbonne speech already referred to, "why was the shipment so addressed? Why was it not sent, as would have seemed quite natural, through the American Red Cross which, on the outbreak of war and under governmental auspices, had mobilized its forces? For this reason : The American Red Cross was necessarily neutral, bound to help all belligerents alike. The donors of the relief supplies meant to show their preference. That is why they addressed their gifts simply: French Army, Havre," A gift of money and clothes sent through the A.R.C.H. was accompanied by a letter pointing the same inspiriting moral : "I am one of the millions of people with limited means who are tortured by a longing to alleviate the terrible and undeserved suffering of the great nation which we love. I wish you could realize with what sincere and poignant sympathy America's heart throbs in unison with the heart of sister France." With such a spirit predominating it was obvious that there must be no ambiguity in the name of the suggested organization. In the United States, a "War Relief Clearing House" would have been regarded with indifference. A War Relief Clearing House for France and Her Allies was assured in advance of an enthusiastic welcome and continued support. In addition, neutrality in clearance operations via Parispwas an impossibility. It was a case of "to be, or not to be. " Unless the proposed association took sides it could not be. Germany was blockaded. It was manifestly absurd to suppose that the French Government would lend a hand to any effort to make a breach in the blockade. It had granted the A.R.C.H. exemption from the payment of Customs duties on all relief supplies from America, and free transportation on the State railways. The Compagnie Générale Transatlantique had guaranteed ship-space, free of all charges, for the relief supplies. Were those privileges to be used for the benefit of the enemy? Even those most desirous of relieving suffering, no matter what might be the nationality of the sufferer, recognized the lunacy of such a thought. The academic discussion was settled definitively by the unanimous decision to create the War Relief Clearing House solely "For France and Her Allies. " Its object was to do in the Mobilization of American relief contributions, what the A.R.C.H. did for their Distribution. Each received, and each forwarded : "Warelief" receiving in New York and forwarding to France; the A.R.C.H. receiving in France and forwarding to ultimate destination. "Warelief " was kept informed by the A.R.C.H. on conditions arising out of developments in the war, and in turn kept American contributors of relief informed as to the materials most needed and gave them the benefit of its facilities for purchasing on the most favourable terms as regarded price, quality, and delivery. Like the twin-organization in Paris, it procured transportation for relief material free or at specially reduced rates, and, if desired, took all difficulties in connection with shipping formalities and customs declarations off the hands of organizations or individuals contributing the material. From the very beginning a practical working system was set in operation. Mr. William Greenough, of the "Warelief " Executive Committee, visited France to become thoroughly familiar with conditions, the organization of the A.R.C.H., and how best to serve those whom the CLEARING HOUSE was intended to help. Thus mistakes were avoided and confidence was inspired at once. In the course of its existence THE WAR RELIEF CLEARING HOUSE FOR FRANCE AND HER ALLIES became the forwarding agent of more than 6000 organizations, and, in addition, was the medium for the forwarding of contributions from scores of thousands of individuals working independently of any association. It also co-operated with 300 branches of the American Red Cross. The word " co-operated " is used advisedly. The Franco-American clearing organization was purely a liaison officer. It linked contributors of relief to those needing relief. It made a point of honour of in no way supplanting the groups with which it worked, for which it worked. The gratitude was due to them and was given to them. 'It seconded their efforts by providing free of charge --- that was its contribution --- the services of a systematized organism in order that the charitable endeavours of America to help France and her allies might not suffer through duplication, lack of information, inefficiency, or wasted energy. "For two and one-half years Noyon has been the city nearest Paris in hands of invaders. Immediately Noyon and neighbourhood liberated, representatives of CLEARING HOUSE were on spot with our own autotrucks filled with blankets, clothes, vegetables, condensed milk, medicaments. Literally everything useful is gone or destroyed. No tools of any kind are left, not even knives, forks, plates or kitchen utensils. Conditions deplorable, and there will be more of these French sufferers thus restored to their country as enemy is expelled. Will you not furnish us with plentiful supply of money that we may purchase that which is needful for instant aid? Send all foodstuffs possible, particularly Canned Beef and Flour. "YOUR contributions in the past have been acknowledged with heartfelt gratitude by the French people ; and now comes an appeal for aid which is perhaps needed more than ever before. "WE BEG OF YOU TO DO WHAT YOU CAN to assist us in meeting this call from our American representatives in France who are on the ground and know the exact conditions. The reply came speedily in cash contributions amounting to $100,000. How much was given in food, clothing and goods collectively as the result of that single cablegram cannot be exactly established, but the amount was very considerable. The case is a typical example of the promptness with which American sympathy reacted to the cry of distress ; and it illustrates the activity of the CLEARING HOUSE publicity department. 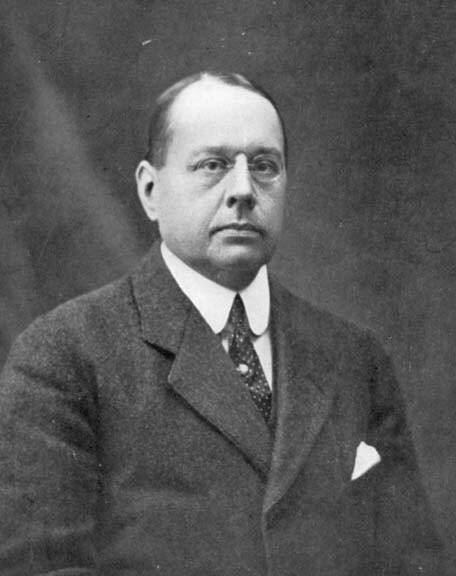 The work in Paris was directed by Mr. James R. Barbour, of Stamford, Connecticut. He joined the A.R.C.H. in the first days of its existence and was " annexed " --- collectively and simultaneously --- by the Transportation, Executive, and Administrative Committees, his work in all bearing the stamp of strong practical individuality and inexhaustible energy. Director of A.R.C.H. Transportation and Publicity. From the beginning, of course, an endeavour had been made to keep American attention focussed on the great and increasing needs of France and Belgium, How extensive was the demand is indicated incidentally in a memorandum of the Investigation Committee's work during the first month of the A.R.C.H. In that period applications for help had been received and looked into from organizations representing 580,901 refugees. Of that number, 32,006 were in need of food ; 81,402, of money; 248,616, of clothing and bedding. The view of the CLEARING HOUSE that such statistics should be made widely known led to increased activity in the field of publicity to further the mobilization of relief. But the work was systematized and conducted on a well-defined line of policy only when Mr. Harjes appointed a Publicity Committee consisting of Mr. Barbour (Chairman), Rev. Dr. Watson and Mr. Randolph Mordecai ; with, for a time, as a volunteer worker in the department, Mr. Henry T. Shelton to whom the Committee voted its "hearty thanks... for the invaluable assistance rendered by him to the CLEARING HOUSE." A "Bulletin" was issued immediately and a copy enclosed in each of the thousands upon thousands of letters that were sent to every one and every group in the United States interested or likely to be interested in the humanitarian work of the CLEARING HOUSE. The "A.R.C.H. BULLETIN" became a monthly publication from November 1915, and after May, 1916, a French translation was published under the supervision of M. Firmin Roz, a trenchant writer, whose work during the war would, if re-issued in a volume, present a remarkable synthesis of American beneficence and French gratitude. These "BULLETINS" are curiously interesting even now, when they have ceased to serve a direct purpose. Based on crises in the war, or on information procured through the Press, through the Government, or through a legion of Relief Committees and Good Samaritans working for war-victims, each one is a pathetic memento of an anxious moment. Read between the lines, the collection resuscitates, dim and ghost-like, the salient tragedies of the war. "It may be you have already given something. If so it has been appreciated. Give more! Rest assured it too will be appreciated. What we ask is a mere trifle to the richest and most abundantly provided country in the world to-day. The United States has already given generously. She can afford to give generously. It is her duty to give generously and it is her privilege to give generously. Will YOU give as you are able? If any branch of our work appeals especially to you and your friends, so indicate and your gifts will be applied thereto. Is it those blinded in battle ; or those deprived of arms, or legs, or otherwise mutilated ; or those whose nerves have been shattered by the incessant pounding of the guns at the front? Is it for the soldiers in the trenches, or the women and children left behind? Is it for the refugees front the invaded territory, or the gentlefolk facing the future without a sou? We are doing something for them all. Will you help us do more? Here is a glorious opportunity to send aid to brave, patient, battling France whose record, when this war is over, may well be the envy of any nation that ever existed." There was no lull in this charitable "offensive." American sympathy was given no opening to rest on its oars. Every striking episode of the war was made the basis of another appeal. Even reassuring details served. Before the Allied offensive in Champagne, 1915, some highly satisfactory reports on the military hospitals and the completeness of their equipment were published. But, adds the "BULLETIN, "to prevent anyone from taking the reports to signify that there was no necessity to send further aid "every great offensive means many more wounded; therefore the demand for hospital supplies never grows less. " No loophole of escape was left to anyone. "If you haven't the article asked for, send its the next best substitute," says one appeal. "This war is a fearful consumer, and we can make use of anything and everything you send." The seasons even were enrolled in the service : "Winter is near, and this year it is not the poor alone who will feel the cold. Anthracite costs $30 a ton!" The Germans attacked Verdun in February 1916. Immediately the "BULLETIN" sends out a call for help : "What is most needed this month is warm clothing for the refugees. Many are tuberculous. We need your generous help in fighting the disease." The number of mutilated soldiers rendered it impossible to provide articulated limbs in sufficient quantity without delay ; moreover they were very dear. But "peglegs" (pilons) were easily obtainable and cheap. And at once the cry is raised: "Buy Pilons for Poilus!" Nor was the future neglected in the caring for the present. "What," asks a "BULLETIN," could YOU do in an absolutely devastated country without tools? A shovel or a hoe would be invaluable, would it not? Will you give one, or more, to help the farmer again take up his struggle for existence?" And immediate action is urged incessantly: "He gives twice who gives quickly." " Please do what you can. Above all: DO IT NOW." "You mean to help: HELP AT ONCE!" The A.R.C.H. worked in all things on a big scale. On December 23rd, 1915, it is calmly reported in the minutes that Mr. Barbour had just sent out 13,000 personal letters to stir up giving. They were efficacious, a further entry reporting that "the last mail brought a little more than 200,000 frs. in cash." The subject is returned to on January 27 : to that date the Publicity service had sent out 17,888 letters, signed personally by members of the committee. About 1,000 were addressed to manufacturers who responded liberally with shipments of shoes, shirts, textiles, lint, cotton, safety-pins, carpet remnants for slippers. It was then estimated that since the beginning of the intense campaign of publicity 500,000 frs. had been received in money. The value of the goods received easily doubled that sum. Bundles of new clothing arrived daily. At one moment in January, 1916, the warehouse in the Rue Pierre Charron was so stocked, through the simultaneous arrival of several cargoes, that not a foot of space remained unoccupied ; the cases and bales were piled in tiers, three high. At the same time, the railway sheds sheltered a number of cases sufficient to fill half the warehouse space of the A.R.C.H. ; seven trucks were waiting to be unloaded ; and from Bordeaux came notice of the arrival of 1,100 cases. It is difficult to decide which most to admire : the energy of the A.R.C.H. volunteers; the persuasiveness of the CLEARING HOUSE Publicity service, or the inexhaustible munificence of America. The campaign for relief was not exclusively literary. The organization of bazaars, sales of work, lecture tours, theatrical performances, was encouraged with material aid. Cinemas were furnished war-films on condition that. a percentage of the receipts be turned over to the A.R.C.H. relief funds. Representations in theatres were arranged on analogous terms. For the Allies Bazaar, opened in New York at the Grand Central Palace, on June 3rd, 1916, a unique collection of 8,000 war trophies and relics was gathered together with the authorization of the French Government. The request for such an exhibit was received almost too late ; but by dint of diplomacy, and persuasion, and obstinacy, Mr. Beatty got it aboard the last steamer from Bordeaux due to arrive in New York before the opening of the bazaar. The affair was a triumph, and the war exhibit the centre of enthusiastic interest. The New York Herald reported that 565,401 tickets of admission were sold before the opening day ; one broker gave Lady Colebrooke an order for 50,000. Fifty thousand copies of A.R.C.H. 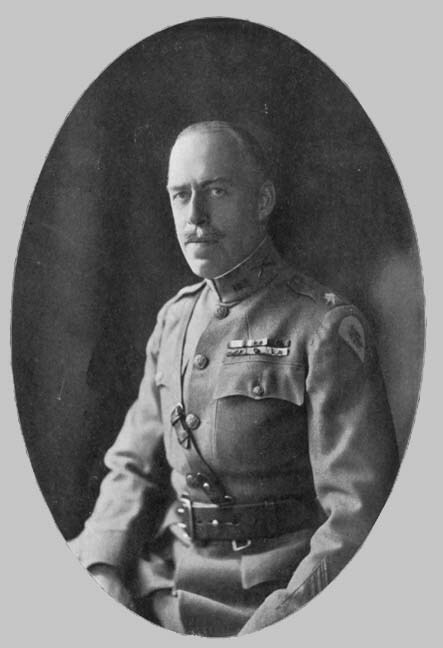 "BULLETINS" were distributed at the bazaar; and "Our Friend France," a war-film taken at the front on the suggestion of Mr. A. Piatt Andrew, Inspector General of the American Ambulance Field Service, was shown for the first time, then began a fruitful tour of the United States. Lecture tours were arranged, always with the purpose of intensifying America's interest in the work of the A.R.C.H. One, which raised a considerable sum, 208,754 frs., was made by Herbert Ward, the British sculptor, painter, and negrologist, after he had been severely wounded in Alsace and rendered unfit for further military service. The organization was, in fact, anything but a "sleeping partner" in the work. The members and their friends and relatives vied with each other in devising means of raising funds. On the initiative of Mrs. Hugh Reid Griffin, ivy-leaves from Sulgrave Manor, George Washington's ancestral home, were obtained, mounted on cards, and sold for the benefit of war-victims. For July 4th, 1915, Mr. Charles R. Scott arranged for the sale by the A.R.C.H. of a large stock of American flags, the proceeds being for the relief funds. Mr. Charles Carroll addressed audiences at special exhibitions of war-films. The A.R.C.H. participated as a body, and actively, to make a success of the street collections on the "days" set apart for different categories of sufferers from the war. There were, in fact, no limits to the efforts of the members. One and all, individually and collectively, they worked on Caesar's principle that "nothing had been done so long as anything remained to be done." Immediately it became clear that any particular drive was beginning to bear fruit and could be depended upon to give the desired results, another was set in motion. Ingenuity and tenacity at the service of charity : there is the secret of the prodigious success that crowned the efforts to mobilize relief.